Anyone who knows me knows how much I love Mallorca. I first visited in 2012 for the Transmallorca Run and have been a frequent visitor ever since. The people, landscape and climate combine to make Mallorca a trail running paradise that keeps pulling me back time and again. 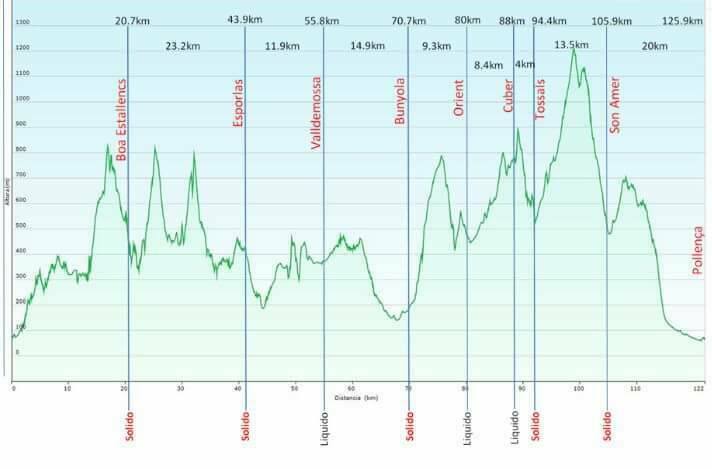 The purpose of my latest visit was the Tramuntana Travessa, a 130km race across the full length of the Tramuntana Mountains from west to east. I've wanted to win this race for a few years now. My first attempt in 2013 ended with a fractured ankle after 65km. In 2014 I finished 2nd after rolling the same ankle again at around 90km. I couldn't make the race in 2015 so I was hoping for third time lucky this year. We arrived on Mallorca 2 days before the race to relax and prepare ahead of the 10pm Friday night start. 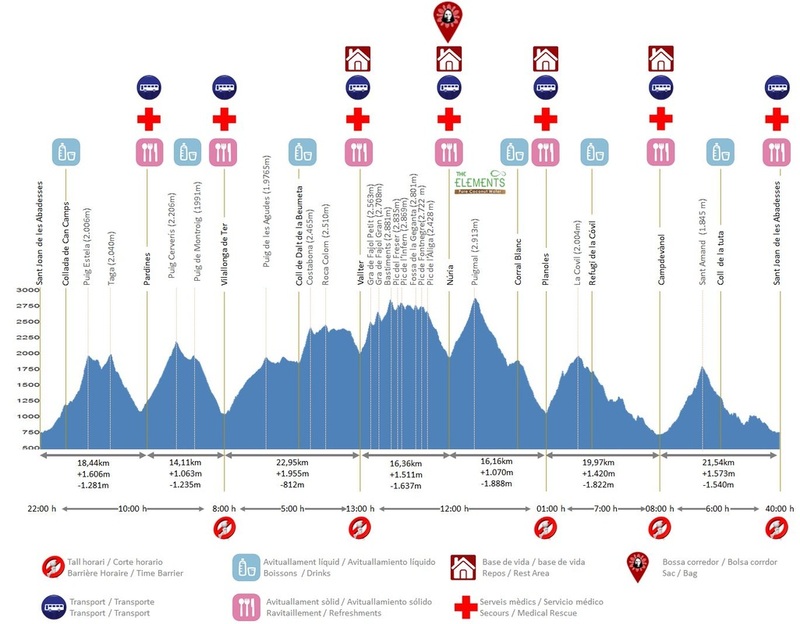 We studied the race profile and made a plan, what time I would arrive at each checkpoint, what Celeste would have ready for each of the checkpoints and plan B in case things are going wrong. We were very fortunate to have Marcel Ruiz Sanchez helping us too. 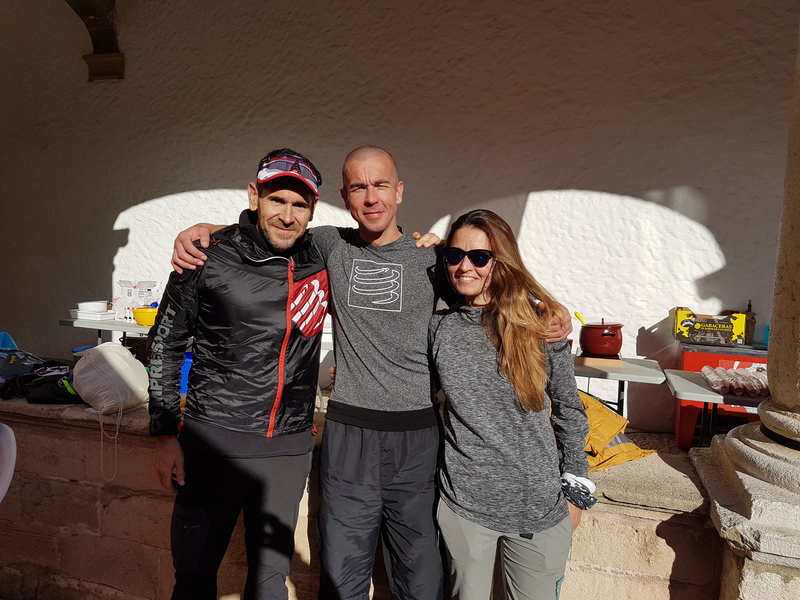 Marcel is a good friend who lives on Mallorca so he was able to show Celeste the way to each of the aid stations, thanks Marcel! We headed down to the start in Andratx around 9.30 for the compulsory kit check, a couple of quick interviews and to meet a lot of friends. 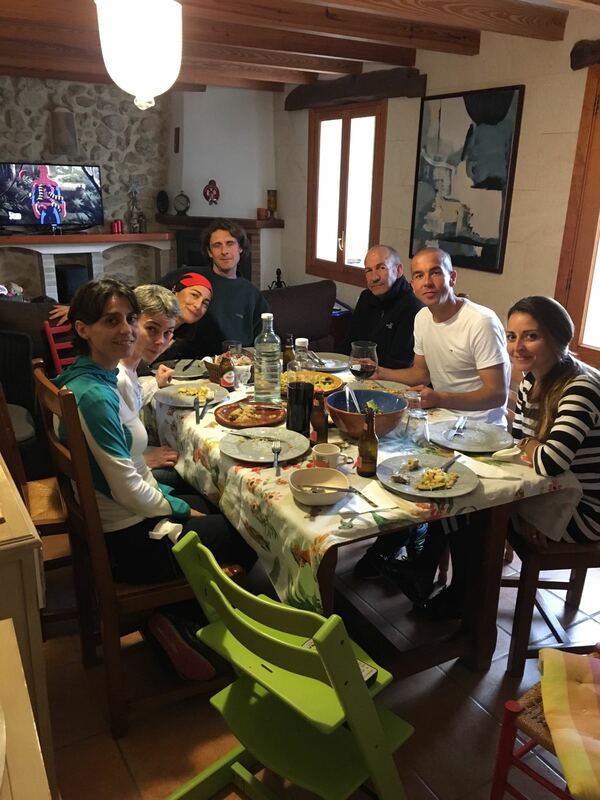 The running community in Mallorca always make me feel very welcome and I'm very grateful for that, it's my home from home. 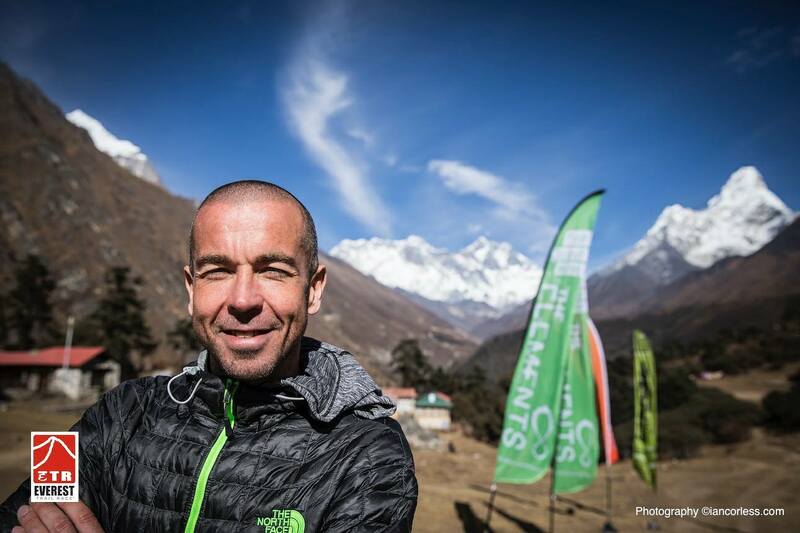 As we lined up for the start I was reunited with my Compressport teammate and local legend Miquel "the boss" Capo. 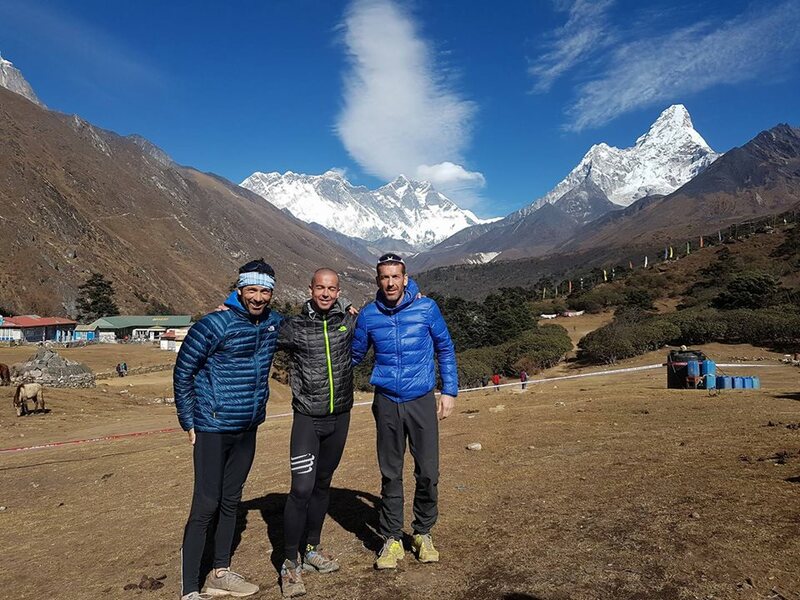 A few weeks earlier we had ran together practically all day everyday for the 6 days of the Everest Trail Race (see previous blog post). Our strengths compliment each other well so I was expecting to see a lot of Miquel in this race too. On the stroke of 10 we were off into the night, it was around 8 degrees, clear and with no wind at all, perfect running conditions. The pace was very easy as we left the town and headed for the mountains. I settled into the middle of the lead group of 7 or 8 runners and just stayed as relaxed as possible to conserve energy for the long night ahead. With a 10pm start and sunrise at 7.52am it was going to be a long time running in darkness. 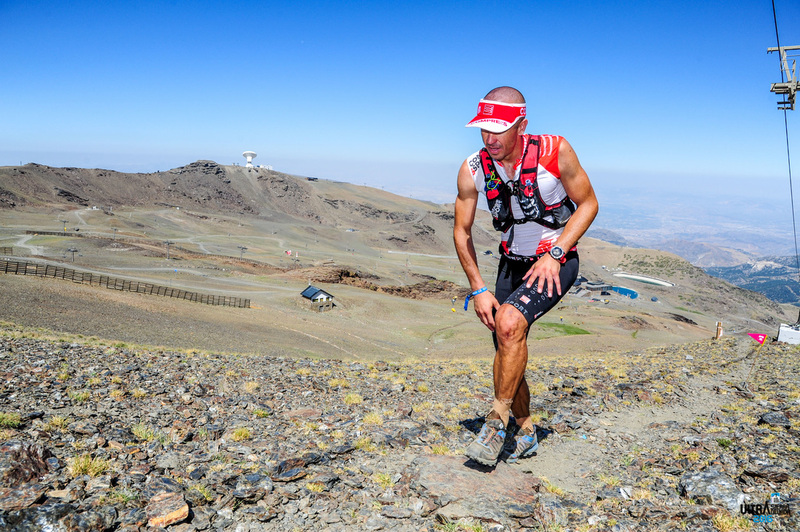 With the Everest Trail race only a couple of weeks earier and the Ecotrail Funchal 80km just 2 weeks before that I wasn't sure how I was going to feel. 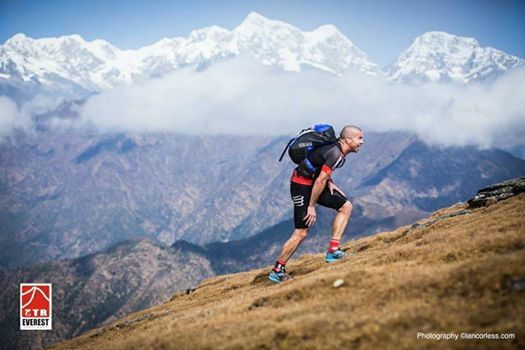 I'd come home from the Himalayas sick so hadn't felt great in training but thankfully as we made our way up the first climb I was feelining really good. My legs were light and my breathing was relaxed. As we climbed S'Esclop and started the descent to the first aid station at Boa Estallencs I was on familiar territory, this is where I train a lot (and run out of water) in summer. I knew every rock and turn and that really helped me to stay relaxed in the early stages. We reached the aid station at 21 km as a group of 6 or 7, refilled the water and pushed on towards my favourite climb on the island, Galatzo. 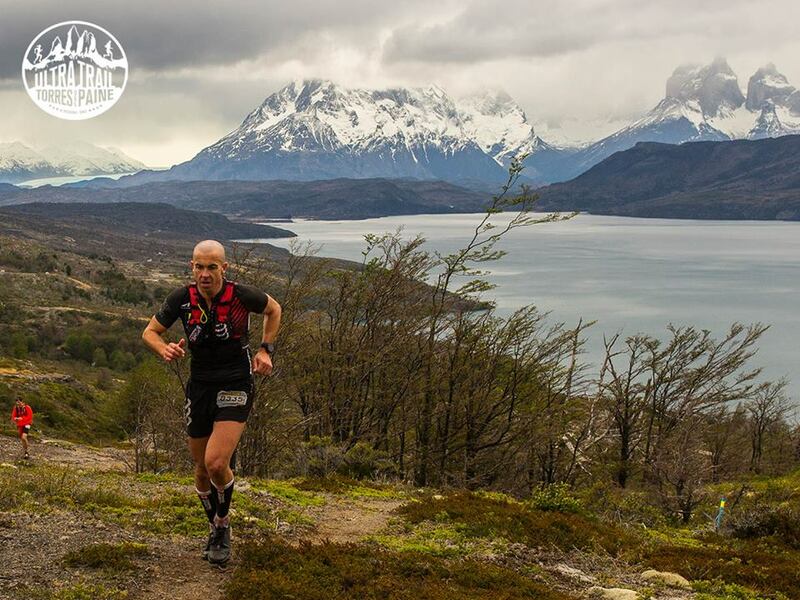 As we started to climb, Miquel and I raised the pace slightly and within a few minutes we were out of sight of the others. It was a stunning night up there with the silhoutte of the Tramuntana against a sky full of stars, really spectacular. As we made the descent from Galatzo things became a little more difficult. We were both suffereing from stomach problems and had to stop several times. I had made a mistake with my prerace nutrition and was paying the price. 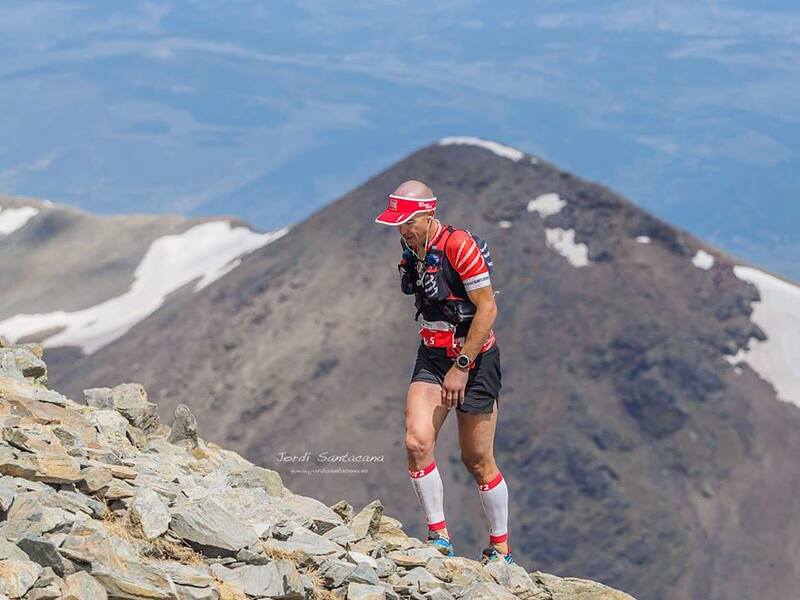 It made for an uncomfortable hour or so but eventually I worked my way through it and by the time we arrived at the next aid station at Esporlas(44km) I was almost back to normal. I ate some solid food here to give my stomach a break from the gels and it seemed to help. The next section to Valldemossa was pretty uneventful. We seemed to pick up from where we left off in the Himalayas, I would lead on the climbs and Miquel would lead on the descents. Valldemossa(56km) came and went and we pushed on towards Bunyola. It was around this time that I started to feel tired, it was late into the night, we'd ran around 65km and it was still a long time until the sun would come up. This is where you start to wrestle with your mind. I know my body is capable because I've done it many times before but sometimes the mind needs convincing! We took a little longer in the aid station at Bunyola(71km). I think we were both feeling the pace by now and I wanted to take on as many calories as I could as I knew the climb out of Bunyola from a race I did earlier this year and I knew it was going to hurt. It didn't disappoint! After Bunyola I wouldn't see Celeste and Marcel until Tossals at 95km. This was the toughest section of the race for me. 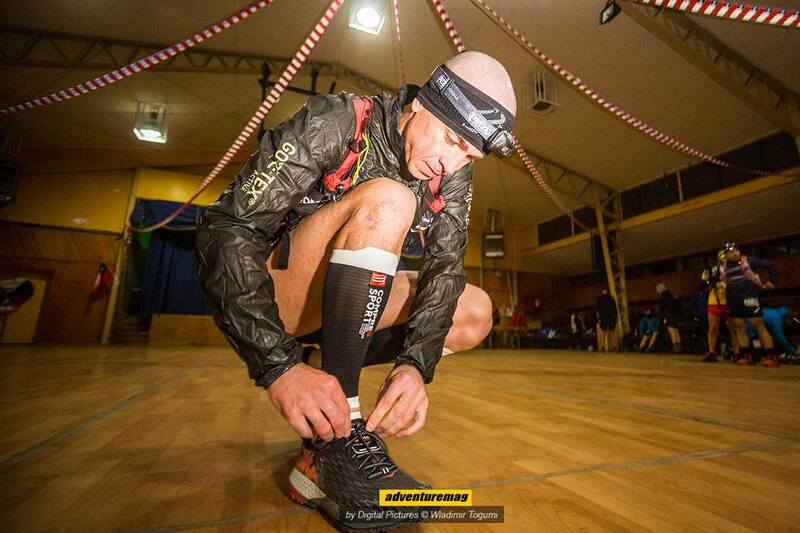 The last hour of darkness, the fatigue of the long night and kms already run, the kms still to go and the very technical terrain made for some tough moments. As the first light of day arrived I was having some mild hallucinations. We were running through an olive grove and the tree trunks looked like people and animals, I forced a caffeine gel down and tried to shake myself awake. I hit my absloute lowest point just before the checkpoint at Tossals but fortunatley the sugar was beginning to take effect and the sun was waking me up again. 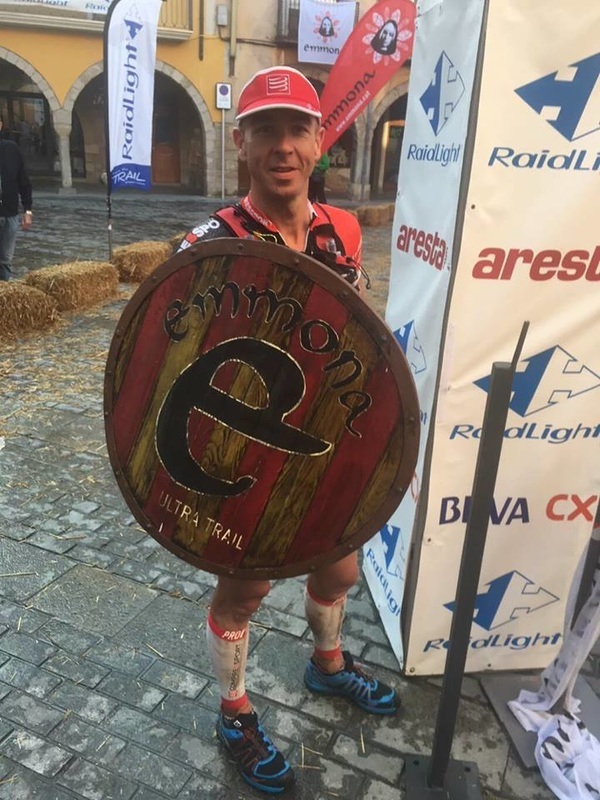 Miquel kept the pace honest and forced us on into the checkpoint. I would've been slower without him for sure. We stopped in Tossals for hot coffee, some sort of Mallorcan cake, banana and probably some other things that I've forgotten about. 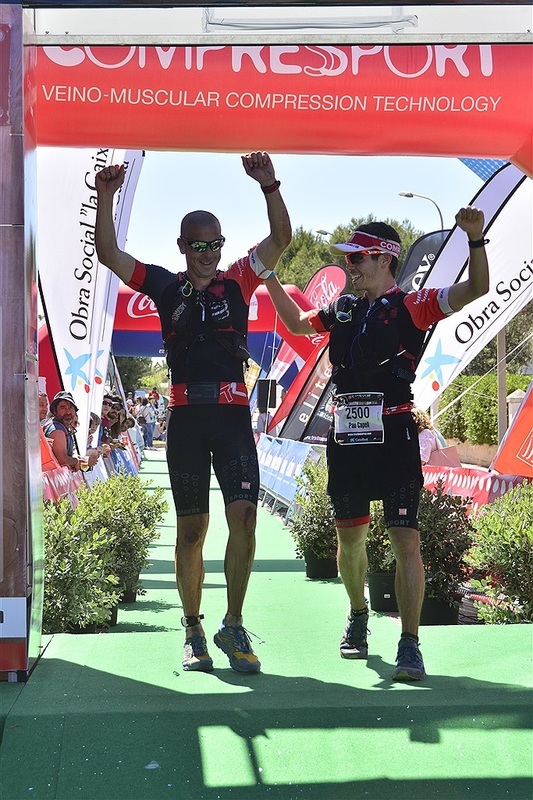 We laughed about the effort, the distance still to go, the things we were going to eat in Pollenca at the finish line and tried not to think about the remaining kms. At this time of the morning and particularly at this time of year the climb from Tossals to Massanella was just stunning. The low light of the morning, the sun on the Mallorcan rocks and everything much greener than in the summer, it was probably the most beautiful I've seen Mallorca look, or perhaps I was low on sugar again, either way it was nice!! We crossed the highest point of the race at around the 100km mark and descended into the final aid station at Son Amer after 106km. I was feeling much better by now, tired and ready to finish but nothing like I had felt a couple of hours earlier. As we left that final aid station I hugged Celeste and Marcel and thanked them for their support, they made the effort so much easier. We only had 1 small climb left and then a steady descent towards the finish before the remaining few kms on the flat into Pollenca. 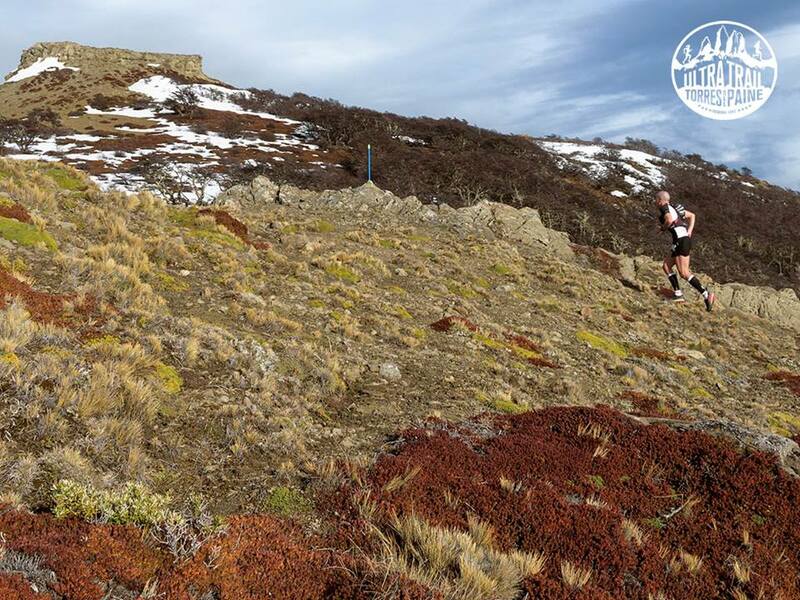 At Son Amer we were told that the 3rd placed runner had pulled back 35 minutes on us in a short space of time, I found this hard to believe but we pushed hard for a few kms until we had it confirmed a few kms later that this had been a mistake and he was in fact an hour behind us. 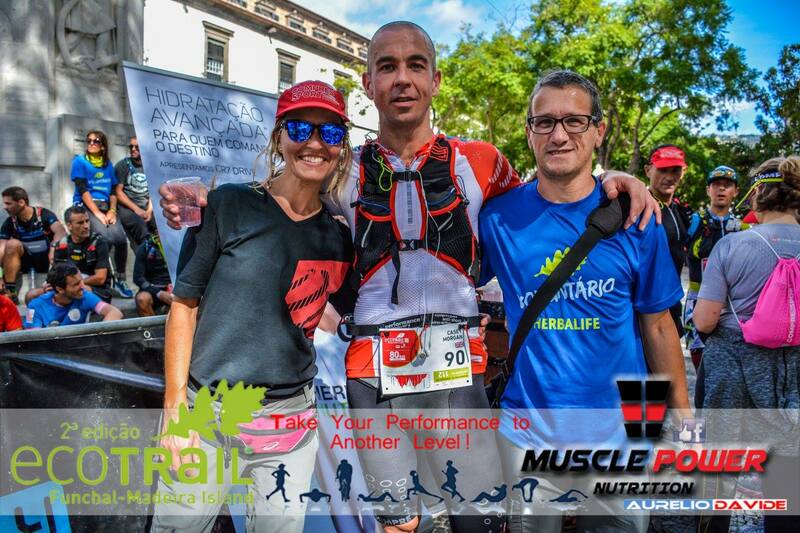 So after a mini stress we could enjoy the remaining 20km and we had a nice surprise when in the last few kms Celeste and Marcel(who had also been supporting Miquel) joined us on the road and ran with us for a few hundred meters. It was great to share that moment together as it had been a team effort all night and we now knew that we would win the race so it was like a quiet celebration before we reached the town. For the last few kms we were joined by some locals on bikes and the police on motorbikes to guide us through the winding streets of Pollenca. 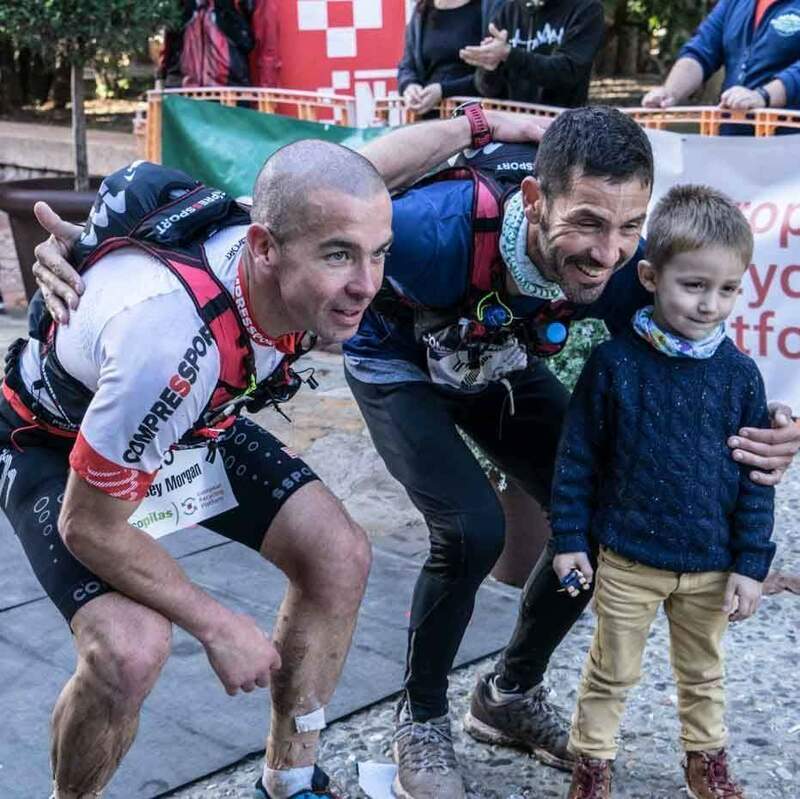 After 130kms together we knew there would be no sprint finish, we had shared the race and we would share the win, in fact, in the end neither of us broke the tape first, that honour fell to Miquel's son who ran with us for the last few meters to the finish line, the next generation and I'm sure it won't be the last time he crosses the line first! It had been a tough race, longer than I expected time wise and more technical than i was expecting too. 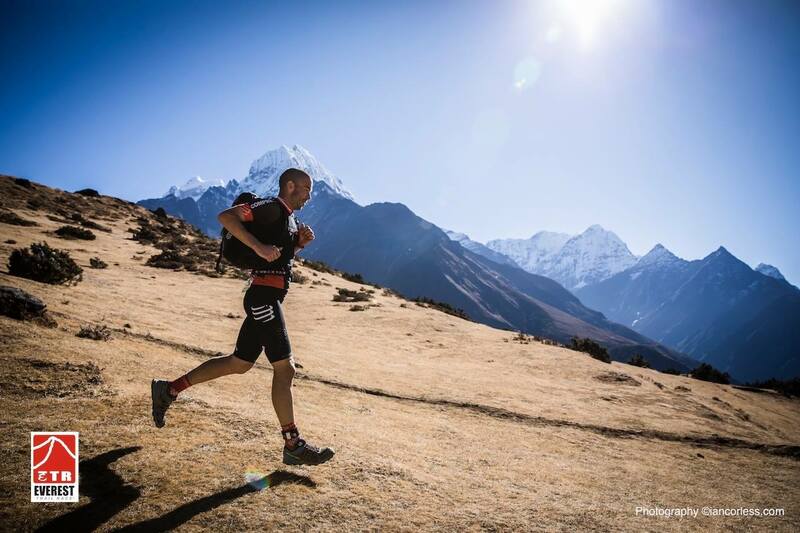 No doubt having the Everest race and Ecotrail in the few weeks leading up to it contributed to the effort also but this race was important to me. I had wanted this one for a long time and it was the perfect way to end the season. I don't believe you can experience true happiness unless you've also experienced true misery. 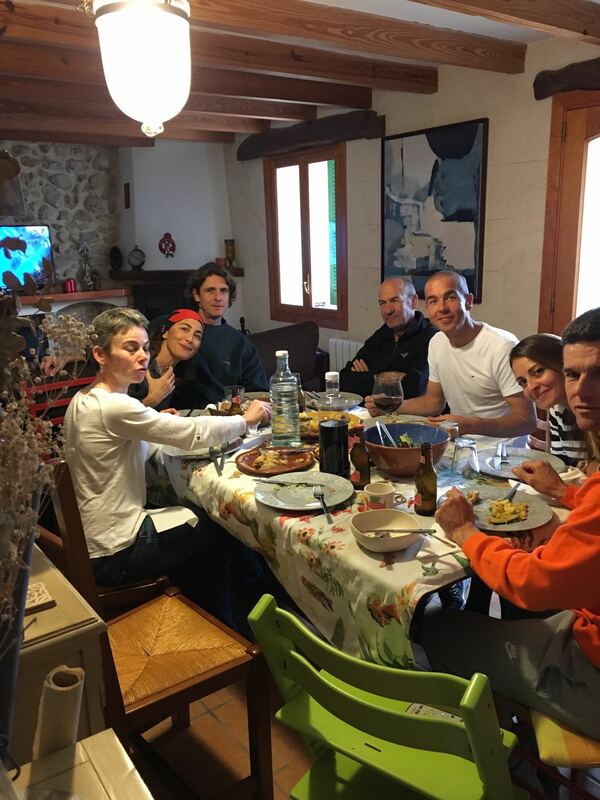 Those kms between Orient and Tossals were true misery but on Sunday as we gathered for lunch with Celeste, Belen, Antonio, Xavi, Angie, Borja, Antia, Pau and John knowing I had achieved my goal and surrounded by good friends that was true happiness for sure. It was a pleasure as always Mallorca, until the next time.